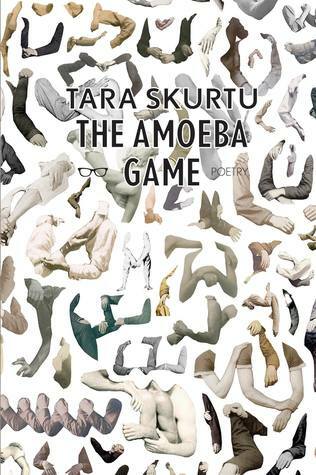 The Amoeba Game by Tara Skurtu is the poet’s first full collection of published poetry. Skurtu is an American poet and writer. She is a two-time U.S. Fulbright grantee, and she has received two Academy of American Poets prizes, a Marcia Keach Poetry Prize, and a Robert Pinsky Global Fellowship in Poetry. A few years ago a friend saw me reading Kerouac’s On The Road. He told me it was one of his favorite books. I said I liked it, but maybe not loved it. The problem he told me was I wasn’t reading it right. He told me I needed to read how the author spoke. Read it with a Beat rhythm he said. I did and the book became amazing. For the readers who have not read Skurtu, look her up on Youtube and listen to her read. Her spoken word performance style will add more to already great poetry. Once you hear her voice and style, everything falls perfectly into place when reading. This collection is broken into three sections: “The Amoeba Game”, “Tourniquet”, and “Skurtu, Romania”. The last section has been previously released as a chapbook and I gave it a very positive review. Skurtu currently lives in Romania and has a family history there. “Tourniquet” is a single poem in five sections reflecting back on snapshot images of youth. “The Amoeba Game” strikes a chord with me. This section of the book has plenty for me to relate to. Outside of boot camp, there are few experiences that people can relate to on a deep level of similar experience. Perhaps the best example of this is that special kind of Stalinism that is found in Catholic school. There is summer Bible School, although Skurtu doesn’t mention who taught hers, but seems to be a different denomination. My experience was with the Quakers which presented a very different picture of religion to my young mind. Growing up, I think we all had our own version of the Amoeba Game in summer camp; something that only seemed to work away from home. This section is also about growing up and changes in family. We like to think we are different, but Skurtu reminds us we all share quite a bit of common ground. An excellent collection of poetry from a poet who has put her life and experience into words. The only thing that could make this collection better is a release of an audio version read by the poet.